I work with CEOs, Business Owners and Entrepreneurs to build emotional intelligence. Research shows that emotional intelligence matters twice as much as IQ or technical expertise, that it accounts for 67% of the abilities necessary for superior performance, and that it is directly related to financial success. In my Emotional Intelligence Executive Coaching programs, I include outdoor activities such as hiking, walking and even skiing. Why be in an office when you can be outside? At UC Davis, I earned my BA and also my Professional Coaching for Life and Work Certification. As an Associate Certified Coach through the International Coaching Federation, I specialize in Emotional Intelligence. I am also part of the business coaching and consulting teams at Capital Training and Ambrosini Group. International trade was my specialty while working for many years at The North Face. Currently, along with Kivel Executive Coaching, I am also the Owner and CEO of SKY Fitness. And, I am certified in Emotional Intelligence through Learning in Action Technologies. 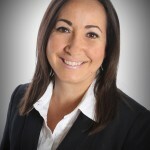 Reyna is an energetic, results-oriented, international business consultant and executive coach. 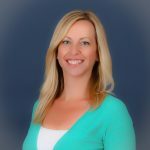 She works with clients across the globe in a variety of areas including creating a vision, establishing a strong leadership brand, change and conflict management, communication, emotional intelligence, role transitions, and many others. She has worked with individuals in all levels of management ranging from new managers to tenured executives. Her industry expertise includes global companies in a variety of different industries ranging from consumer products, pharmaceuticals, medical device, construction, travel, ecommerce, high-tech, and engineering, among others. Reyna holds a Bachelor’s Degree in Cultural Anthropology from Haverford College and a Master’s Degree from Columbia University. 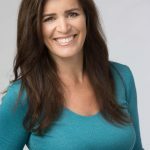 She is a certified executive coach through the Hudson Institute, an Associate Certified Coach (ACC) with the International Coaching Federation and an adjunct leadership coach for the Center for Creative Leadership. Reyna also completed the Hoffman Process at the Hoffman Institute and is certified in a number of psychometric and 360-degree multi-rater and emotional intelligence assessments, including the EQ-in-Action profile. As a coach and strategic planning consultant, I draw on the knowledge and perspectives gained from more than 30 years of leadership experience in the business world, as well as in non-profits and as an individual who has made significant career and personal transitions. As a business executive the focus was on leading the financial turnaround and cultural transformation of professional publishing companies including the Los Angeles Times as its Publisher, President and CEO. My specialty was in leading organizations through profound change and transformation. My coaching practice is in three areas that I care about deeply: leaders in for-profit and non-profit organizations, women executives and individuals contemplating or facing significant life transitions. My educational background is a J.D. from Stanford University School of Law and a B.A. in economics from Lewis & Clark College in Portland Oregon. I am a certified by the Hudson Institute of Coaching. Anthony “Tony” Perez is an ICF Certified Coach and consultant. C-Suite Executives, Teams and Emerging Leaders. With over 17 years of experience in the Human Resources profession, I’m dedicated to helping build an organization that develops successful leaders, supports a community of lifelong learners, assists in the creation of a rewarding workplace culture that attracts first-class talent, and provides ample opportunities to transform each employee’s career trajectory in an effort to strengthen the overall performance of an organization. I possess thorough working knowledge and specialize in leadership and professional development. I am a strategic partner and support business needs and objectives by providing a broad range of support and consulting services to organizations, leadership, teams, and individuals. I am a Certified MBTI® Master Practitioner, Certified Strong Interest Inventory Practitioner, EQ Certified Practitioner, and have administered an array of career, personality, and aptitude tests and assessments. I have also earned an Advanced Career Coaching certification through Chapman University. In addition, I am currently in the final stages of completing my graduate level certification in Organizational Behavior and Executive Coaching through the University of Texas and my Professional Certified Coach (PCC) certification through the International Coach Federation (expected completion 2/2018). I also provide pre-marital coaching with couples, utilizing assessments and open discussion to identify strengths, conflict management strategies, and potential challenges. We’ll work together to develop healthy communication and relationship strategies for a successful, happy marriage.